Kozhikode is one of the largest city in the state of Kerala in India. Also called as Calicut, it's coastal town down south. 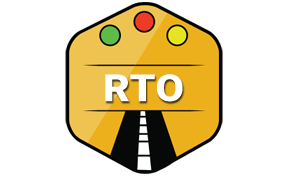 Kozhikode RTO manages the transport and other rules and regulations related to the traffic. It is headed by the transport commissioner. Kozhikode is operated as per the guidelines of Motor Vehicle Act of 1988 and Motor Vehicles Taxation of 1963. Kozhikode RTO performs lots of functions. All these activities assists in the enforcement of the Motor Vehicles Act of 1988 and other applicable laws. Any Vehicle entering in the city of Kozhikode needs permission from the concerned authority. Kozhikode RTO is authorized to grant required permits to all the vehicles. Kozhikode RTO is responsible for the collection of all the applicable taxes from the vehicles. Tax criteria vary from vehicle to vehicle. Kozhikode RTO also assists in conducting all kinds of tests. These tests are related to any kind of driving tests to fuel emission tests. Based on these tests driving license is issued. Vehicle fitness certificate is also issued based on these tests only. Kozhikode RTO follows require procedure to issue the driving license. People who want it needs to submit certain mandatory documents along with a few tests. These documents are thoroughly verified.Upon successful paperwork and tests, only the driving license is issued. As most of the people know Driving License is issued for a limited period only. Once the Driving License is expired we need to renew it. We can contact Kozhikode RTO if we wish to renew from there. Managing Vehicle Registration Process Any new vehicles purchased in Kozhikode must take registration copy from its RTO. It is one of the mandatory document for all the vehicles. NOC is called as No Objection certificate. It is mandatory if we drive vehicle from another state in Kozhikode beyond 3 months.